[Registration / Approval to Practice (Initial and Subsequent Renewal)] What is Registration/Initial Approval to Practice? [Registration / Approval to Practice (Initial and Subsequent Renewal)] Is current national certification required for the Certified Nurse Midwife registration approval to practice? [Registration / Approval to Practice (Initial and Subsequent Renewal)] What is an Approval Number? [Registration / Approval to Practice (Initial and Subsequent Renewal)] Are Certified Nurse Midwives required to have a NPI number? [Registration / Approval to Practice (Initial and Subsequent Renewal)] What if I change jobs or primary supervising physicians? [Registration / Approval to Practice (Initial and Subsequent Renewal)] What is the turn-around time for completed applications? [Registration / Approval to Practice (Initial and Subsequent Renewal)] Do I need a Registered Nurse license in order to be approved to practice as a Certified Nurse Midwife? [Registration / Approval to Practice (Initial and Subsequent Renewal)] Is current national certification required to receive registration or approval to practice? [Registration / Approval to Practice (Initial and Subsequent Renewal)] Must I include a photo on both the Registration and the Initial Approval to Practice Application documents? [Registration / Approval to Practice (Initial and Subsequent Renewal)] If I am planning to function as a Certified Nurse Midwife in an office with one or more satellite sites, which site name should I place on the Certified Nurse Midwife Approval to Practice Application? [Registration / Approval to Practice (Initial and Subsequent Renewal)] I was recently approved to practice and paid the application fee online. My birthday is now here. Do I need to pay the renewal fee so shortly after receiving my Certified Nurse Midwife approval? [Registration / Approval to Practice (Initial and Subsequent Renewal)] What are the continuing education requirements for the Certified Nurse Midwife to renew an approval to practice in North Carolina? [Registration / Approval to Practice (Initial and Subsequent Renewal)] My Certified Nurse Midwife approval to practice was made inactive for failure to renew. How do I reinstate? 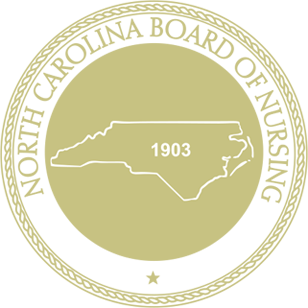 [Supervision / Scope of Practice] How is the Certified Nurse Midwifes scope of practice defined in North Carolina? [Supervision / Scope of Practice] What should I do when I discontinue my relationship with my primary supervising physician? [Supervision / Scope of Practice] Are primary supervising physicians and back-up supervising physicians responsible for the medical acts of Certified Nurse Midwifes? [Supervision / Scope of Practice] How many supervising physicians are required to be designated for each Certified Nurse Midwife? [Supervision / Scope of Practice] Must a Certified Nurse Midwife have a back-up supervising physician? [Supervision / Scope of Practice] How many Certified Nurse Midwifes can a physician supervise in North Carolina? [Supervision / Scope of Practice] Is on-site presence of supervising physician required at all times the Certified Nurse Midwife is performing tasks pursuant to the collaborative practice agreement? [Supervision / Scope of Practice] What should a Certified Nurse Midwife do if an emergency affects the ability of her/his primary supervising physician to function in the supervisory capacity? [Supervision / Scope of Practice] What are the required credentials for physicians supervising Certified Nurse Midwives? [Prescriptive Authority] May a Certified Nurse Midwife prescribe controlled substances? [Prescriptive Authority] Where can I find information about the new controlled substance prescribing rules? [Prescriptive Authority] Is a pharmacy permit to dispense required for a Certified Nurse Midwife to distribute sample medications to patients? [Practice] Do North Carolina rules for Certified Nurse Midwifes apply to those employed by the federal government and working in a federal facility? [Practice] What information must be on the Certified Nurse Midwife's name badge when the Certified Nurse Midwife is involved in the direct provision of health care to patients? [Practice] Can Certified Nurse Midwifes engage in telehealth/telemedicine? [Practice] Can Certified Nurse Midwifes practice in roles that are outside of their area of certification? [Education] Does the North Carolina Board of Nursing approve post-licensure and graduate-level nursing education programs in North Carolina and in other states? [Education] Do Certified Nurse Midwife students need a Registered Nurse license to do clinical rotations in North Carolina? [Education] Is a Doctorate required for entry into practice as a Certified Nurse Midwife? Registered Nurses that have completed an accredited a Post-Graduate certificate midwifery program, or a Master’s in Nursing Degree midwifery program or another appropriate Master’s degree program; have national certification by the American College of Nurse-Midwives, and evidence of arrangements for physician supervision may complete an online application for Registration and approval to practice as a Certified Nurse Midwife in North Carolina per § 90-178.5. Qualifications for approval. Yes. Evidence of certification by the American College of Nurse-Midwives is a requirement for initial registration and approval to practice and for renewal of approval to practice as a certified nurse midwife in North Carolina per § 90-178.5(2). Qualifications for approval. The approval number is a unique number assigned to the Certified Nurse Midwife at the time of initial approval. This number must be included on all prescriptions written by the Certified Nurse Midwife. No. A National Provider Identifier (NPI) number is not a requirement for approval to practice as a Certified Nurse Midwife in North Carolina. A NPI is a unique 10-digit identification number issued to health care providers in the United States by the Centers for Medicare and Medicaid Services (CMS). The NPI is a payer/reimbursement requirement. The North Carolina Board of Nursing does not have jurisdiction in payer issues. You are advised to contact payers directly to determine in a NPI number is required for reimbursement. Certified Nurse Midwives that change jobs or add new supervising physician(s) must update their approval by completing the following links via the Nurse Gateway: Adding a Physician, Update Practice Name-Address, and (if inactivating a primary supervising physician), Remove Physician. The Certified Nurse Midwife shall not practice until notification of approval has been received. The approval letter and certificate will be emailed to the Certified Nurse Midwife upon FINAL approval to practice with the new supervising physician. The approval can also be verified on the Board's website by selecting Verify License. All online applications are received by the Board of Nursing office on a daily basis. Due to the volume of applications received, please allow fifteen (15) business days for processing the application from the time all required documents are received in the Board office. Yes. The Certified Nurse Midwife must have an active, permanent, unencumbered Registered Nurse license issued in North Carolina or an active, permanent and unencumbered Registered Nurse license with a multistate privilege to practice issued by another compact state. Applications for individuals with a temporary Registered Nurse license in either North Carolina or a compact state cannot be processed. Yes. A photo must be attached to the Registration application as well as to the Approval to Practice Application or with the combined application – Registration and Initial Approval - only one photo is required. If the primary supervising physician will be the same individual at all sites, the main office address should be listed as the principle site and the additional satellite sites(s) should be listed under the practice sites section. The Certified Nurse Midwife must complete an additional online application for approval to practice for each site where the Certified Nurse Midwife will have a different primary supervising physician. Certified Nurse Midwife rules require that an Certified Nurse Midwife renew the approval to practice online with the Board of Nursing annually by the last day of the birth month unless initial approval was issued within three months of your birth month. The renewal fee is required. In concert with 21 NCAC 33.0111 in order to maintain midwifery approval to practice, the midwife shall meet the requirements of the American Midwifery Certification Board (AMCB) Program of the American College of Nurse-Midwives, including continuing education requirements. Every midwife who prescribes controlled substances shall complete at least one hour of continuing education (CE) hours annually consisting of CE designated specifically to address controlled substances prescribing practices, signs of the abuse or misuse of controlled substances, and controlled substance prescribing for chronic pain management. Documentation shall be maintained by the midwife for the previous five calendar years and made available upon request to the Committee. For reinstatement of approval to practice, the Certified Nurse Midwife must complete the Certified Nurse Midwife Reinstatement application and pay the fee via the Nurse Gateway. The Certified Nurse Midwife will be notified upon reinstatement of the Certified Nurse Midwife's approval to practice. The approval can also be verified on the Board's website by selecting Verify License. The Scope of Practice for the Certified Nurse Midwife is defined by formal academic, graduate educational preparation, national certification and maintained competence. The Certified Nurse Midwife’s scope of practice is set by § 90-178.2. and operationalized by the collaborative guidelines, mutually agreed upon written clinical practice guidelines between the Certified Nurse Midwife and the Primary Supervising Physician, identifying which drugs, devices, medical treatments, tests and procedures may be prescribed, ordered, performed, and would be appropriate for the diagnosis and treatment of the common medical problems seen by the Certified Nurse Midwife. The Certified Nurse Midwife provides well-woman and gynecological care for women of all ages (including family planning, infertility, preconception, menopause, and treatment of common health problems), obstetrical care including prenatal, postpartum, intrapartum, and newborn care In accordance with § 90-178.2. Certified Nurse Midwives attend births in hospitals, out of hospital birth centers, and at home. Certified Nurse Midwives have prescriptive authority in North Carolina in accordance with § 90-178.3(b). The Certified Nurse Midwife’s approval to practice is terminated when the Certified Nurse Midwife discontinues working within the approved Certified Nurse Midwife clinical practice guidelines with an approved primary supervising physician in concert with § 90-178.3 (a) & (b). Certified Nurse Midwives who discontinue a relationship with a primary supervising physician(s) must update their approval by completing the following links via the Nurse Gateway: request inactive status (no fee) or Adding a Physician, Update Practice Name-Address, and (if inactivating a primary supervising physician), Remove Physician. The Certified Nurse Midwife shall not practice until notification of approval has been received. The approval letter and certificate will be emailed to the Certified Nurse Midwife upon FINAL approval to practice with the new supervising physician. The approval can also be verified on the Board's website by selecting Verify License. In concert with 21 NCAC 33 .0101(b)(1) The Primary Supervising Physician, who by signing the certified nurse-midwife application, is held accountable for the on-going supervision, consultation, collaboration and evaluation of the medical acts performed by the certified nurse-midwife as defined in the site specific written clinical practice guidelines. A Certified Nurse Midwife is only required to have one primary supervising physician. While it is not required that an Certified Nurse Midwife have a back-up supervising physician, Certified Nurse Midwifes are encouraged to have a designated physician available to her/him in the absence of her/his primary supervising physician. Back-up supervising physicians must be approved by the Certified Nurse Midwife and the primary supervising physician. Certified Nurse Midwifes must keep a copy of the form on file at all practice sites for which it applies, but do not send this form to either the Board of Nursing or the Medical Board. The form must be signed by the Certified Nurse Midwife, primary supervising physician and the back-up supervising physician(s). No. On-site physical presence is not required; however, the primary or back-up supervising physician and the Certified Nurse Midwife must be continuously available to each other for consultation by direct communication or telecommunication. (1) The Certified Nurse Midwife shall notify both Boards within two (2) business days of the emergency situation by first calling the Boards and then following up with a letter describing the emergency situation. (2) The Certified Nurse Midwife is given forty-five (45) days from the date of the emergency situation to submit an application for a new primary supervising physician. (3) The Certified Nurse Midwife may ask for an extension of up to an additional 30 days if he/she is unable after an exercise of due diligence to find another primary supervising physician. (4) If an application for a new primary supervising physician is not submitted within forty-five (45) days or if an extension is not granted, the Certified Nurse Midwife’s approval to practice will terminate. In concert with § 90-178.3 (b) and 21 NCAC 33 .0104, the Certified Nurse Midwife shall be supervised by a physician licensed to practice medicine by the North Carolina Medical Board and who is actively engaged in the practice of obstetrics. Yes. Certified Nurse Midwife prescriptive authority is set forth and defined by § 90-178.3. (b) Regulation of midwifery which states “A person approved pursuant to this Article may practice midwifery in a hospital or non-hospital setting and shall practice under the supervision of a physician licensed to practice medicine who is actively engaged in the practice of obstetrics. A registered nurse approved pursuant to this Article is authorized to write prescriptions for drugs in accordance with the same conditions applicable to a Certified Nurse Midwife under G.S. 90-18.2(b). Prescriptive authority is part of the Certified Nurse Midwife and Certified Nurse Midwife approval to practice as stipulated in 21 NCAC 36 .0809. Controlled substances may be prescribed and refilled consistent with controlled substance laws and regulations. Schedule II controlled substances cannot be refilled. Schedules III and IV controlled substances may be refilled up to five times in six months. Schedule V controlled substances may be refilled as authorized by the practitioner. Can controlled substance prescriptions be refilled? No. The Board of Pharmacy has indicated that the registration, permitting, and oversight requirements of Pharmacy Rule .1703 do not apply to a certified nurse midwife who is engaged in traditional sampling – that is, handing out, free of any charge (whether direct or indirect), starter doses or packets of prescription drug samples received from a prescription drug manufacturer in compliance with the Prescription Drug Marketing Act. Federally employed Advanced Practice Registered Nurses (CNM, CNP, CNS, CRNA) are governed by federal rules and regulations in regard to how they practice while working within federal facilities. However, a federally employed CNM or CNP who holds a North Carolina approval to practice and wants to maintain the approval to practice must comply with North Carolina rules that pertain to maintaining an active approval to practice (i.e. annual renewal, continuing education and payment of fees). Also, any CNM or CNP r actively approved to practice is expected to practice competently, act professionally and be of requisite good character no matter where, or for whom, he or she works. The North Carolina Badge Law (GS 90-640) requires every health care professional to wear or display a readily visible form of identification to include the individual’s name and the license, approval to practice or listing title when providing patient care. Standard abbreviations for such titles may be used as in Jane Smith, RN, CNM. Exceptions to this requirement are outlined in Rule 21 NCAC 36.0231 Exceptions to Health Care Practitioners Identification Requirements. Consistent with agency policy, the Certified Nurse Midwife may choose to include academic or certification designations on the name badge, but these must be in addition to the Certified Nurse Midwife’s legally approved practice title(s). For example, one might use Jane Smith, RN, CNM, MSN or Jane Smith, RN, CNM, PhD depending upon one’s level of academic preparation. A Certified Nurse Midwife (CNM) may practice within his/her designated scope of practice set forth in North Carolina Laws and Rules using telehealth/telemedicine methods of healthcare delivery. Telehealth (interchangeably termed telemedicine) is the practice of healthcare within a professionally designated scope of practice using electronic communication, information technology, or other means between a licensee in one location and a client in another location with or without an intervening healthcare provider. The North Carolina Medical Board has a position statement on Telemedicine that can be used for guidance on training of staff utilizing telehealth, evaluations and examinations, licensee-client relationship, prescribing, health records, and licensure. Any Certified Nurse Midwife using telehealth to regularly provide services to clients located in North Carolina need not reside in North Carolina but must hold either a valid, unencumbered multi-state Registered Nurse license, or a valid, unencumbered North Carolina single-state Registered Nurse license. Additionally, a Certified Nurse Midwife must be both registered and approved to practice in North Carolina. Approval to practice requires that a Certified Nurse Midwife have a supervising physician and a Collaborative Practice Agreement (CPA). Telemedicine activities should be clearly defined within the Collaborative Practice Agreement. See the position statement on Telehealth/Telenursing. No. The Scope of Practice for the Certified Nurse Midwife is defined by formal academic, graduate educational preparation, national certification and maintained competence. The Certified Nurse Midwife’s scope of practice is set by § 90-178.2. and operationalized by the clinical practice guidelines, mutually agreed upon written clinical practice guidelines between the Certified Nurse Midwife and the Primary Supervising Physician, identifying which drugs, devices, medical treatments, tests and procedures may be prescribed, ordered, performed, and would be appropriate for the diagnosis and treatment of the common medical problems seen by the Certified Nurse Midwife. The Certified Nurse Midwife provides well-woman and gynecological care for women of all ages (including family planning, infertility, preconception, menopause, and treatment of common health problems), obstetrical care including prenatal, postpartum, intrapartum, and newborn care. In accordance with § 90-178.2., Certified Nurse Midwives attend births in hospitals, out of hospital birth centers, and at home. Certified Nurse Midwives have prescriptive authority in North Carolina in accordance with § 90-178.3(b). A Certified Nurse Midwife may expand their areas of competence within their population focus through additional education and competence validation if this is permitted by their employer policy and procedures and is not in violation of any other laws or rules. To expand the scope of practice beyond the population focus for which the Certified Nurse Midwife has formal academic, graduate educational preparation, national certification and maintained competence must be approved by the Midwifery Joint Committee consistent with the rules stipulated in 21 NCAC 36 .0804 (f). Request for change(s) in the scope of practice shall be submitted to the Midwifery Joint Committee. Does the North Carolina Board of Nursing approve nursing graduate-level (masters and doctoral) out-of-state programs/online programs/correspondence courses? What is the State Authorization Reciprocity Agreement (SARA) for Distance Education? A Registered Nurse license is a requirement for Advanced Practice Registered Nurse (APRN) practice. Academic programs are responsible for ensuring that post-licensure students participating in clinical rotations in North Carolina must have a North Carolina license or a multi-state license as defined by the Nurse Licensure Compact. APRN student clinical rotations are conducted under the supervision of an appropriately credentialed preceptor as required by individual state regulation. However, the student must have the foundational Registered Nurse license required by the state where the clinical experience occurs. If the student’s license is not a multi-state license as noted in Nurse Licensure Compact, s/he will need Temporary License. Does the Board approve pre-licensure (Registered Nurse and Licensed Practical Nurse) out-of-state programs/online programs/correspondence courses? Does a nursing student “work under the faculty or preceptor’s license”? Is the North Carolina Board of Nursing imposing restrictions on out-of-state nursing education programs? I am being told by an out-of-state program that the North Carolina Board of Nursing is preventing them from admitting North Carolina residents as students. No. Registered Nurses that have completed an accredited a Post-Graduate certificate midwifery program, or a Master’s in Nursing Degree midwifery program or another appropriate Master’s degree program; have national certification by the American College of Nurse-Midwives, and evidence of arrangements for physician supervision may complete an online application for Registration and approval to practice as a Certified Nurse Midwife in North Carolina per § 90-178.5. Qualifications for approval. On October 25, 2004, the member schools affiliated with the American Association of Colleges of Nursing (AACN) voted to endorse the Position Statement on the Practice Doctorate in Nursing. This decision called for moving the current level of preparation necessary for advanced nursing practice from the master’s degree to the doctorate-level by the year 2015. This endorsement was preceded by almost three years of research and consensus-building by an AACN task force charged with examining the need for the practice doctorate with a variety of stakeholder groups. While market forces may preferentially choose a Certified Nurse Midwife with doctoral preparation, the North Carolina Board of Nursing regulations currently require a master's or higher degree for entry into midwifery practice in concert with Registered Nurses that have completed an accredited a Post-Graduate certificate midwifery program, or a Master’s in Nursing Degree midwifery program or another appropriate Master’s degree program; have national certification by the American College of Nurse-Midwives, and evidence of arrangements for physician supervision may complete an online application for Registration and approval to practice as a Certified Nurse Midwife in North Carolina per § 90-178.5. Qualifications for approval.